Our mission is to provide you with 20/happy vision – our way of describing your most comfortable vision. The staff members at North Peace Optometry Clinic are committed to provide outstanding service, quality eyewear, and knowledgeable eye care. 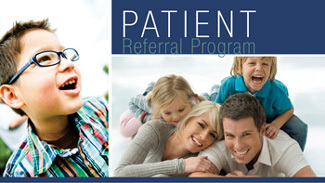 In appreciation of your referrals, we’re offering you a $25 gift certificate for each new patient who comes to our clinic on your recommendation.